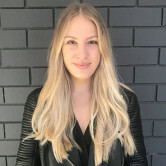 got on board with this season of The Bachelorette, with Ten previously telling AdNews familiar faces are a bigger attraction to both advertisers and audiences. The Bachelorette Australia has also be a great success for Ten on its catch-up platform, with the show hitting its highest online views ever. “Bachelor In Paradise is the perfect complement to, and extension of, those shows. It will give viewers everything they love about The Bachelor Australia and The Bachelorette Australia, including familiar faces, spectacular dates, explosive rose ceremonies, drama, romance, adventure, laughter and – of course – love," Network Ten chief content officer Beverley McGarvey says. Bachelor In Paradise is a Warner Bros International Television Production Australia production for Network Ten. 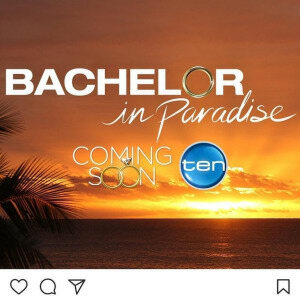 Warner Bros International Television Production Australia managing director Michael Brooks adds: “It is shaping up to be a huge year for Bachelor fans in Australia in 2018 with the launch of Bachelor In Paradise on Network Ten." It has not yet been announced which former contestants will appear on the show. After months of speculation, Channel Ten has finally confirmed Bachelor in Paradise is coming to Australian screens. The US reality spin-off of The Bachelor and The Bachelorette will provide runners-up of both series with another shot at finding love on television - only this time, it’ll take place “in a romanic tropical destination overseas”. The network released an official statement on Monday, confirming the series is in development and that Osher Gunsberg will return as host. The announcement of the new special event television series comes hot on the heels of the success of the new season of The Bachelorette Australia, which has seen a television audience increase of more than 40% compared with the 2016 season. Big brand sponsors got on board with this season of The Bachelorette, with Ten previously telling AdNews familiar faces are a bigger attraction to both advertisers and audiences.